Scott West of the Bulldogs looks to handball during the round 20 AFL match between the Western Bulldogs and the Adelaide Crows at the Melbourne Cricket Ground on August 19, 2006 in Melbourne, Australia. When the 2016 premiership flag is unfurled at Etihad Stadium on Friday, 31 March, some iconic Bulldogs will be on hand to mark the occasion. Scott West was one of the Western Bulldogs' greatest on-field servants in a career that spanned 16 seasons and 324 games. A tough in-and-under midfielder, West made up for the fact that he was perhaps not the quickest over 20 metres by being hard at the ball - especially around the stoppages - and he was consistently at the top of the AFL 'charts', in terms of disposals, throughout his career. West's work-rate and courage were unsurpassed and he was a key factor in the Bulldogs' reaching the finals in 1994-5, 1997-2000 and 2006. 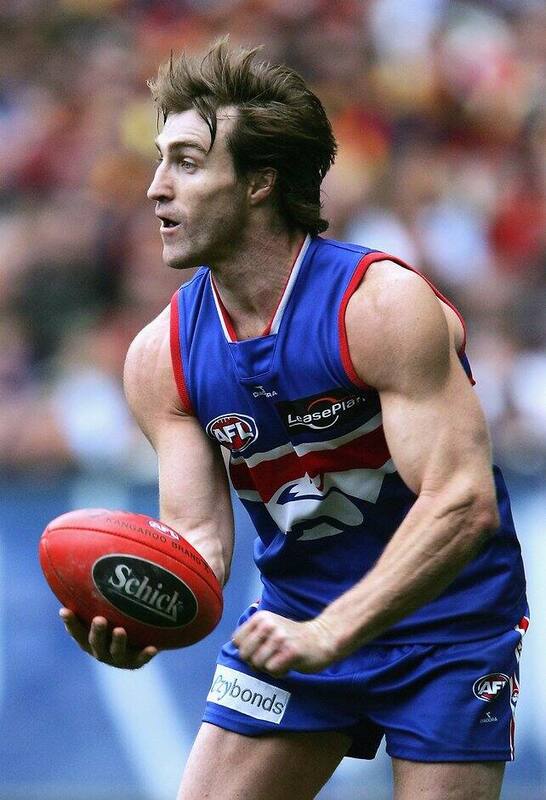 Over the course of his time at VU Whitten Oval, West came close to winning football's highest individual honour, the Brownlow Medal, on several occasions, finishing runner-up in 2000 and 2006, third in 1998 and fourth in 2004-05. Ranked by many as one of football's great midfielders, West's hand skills were exquisite and allowed him to extract the ball from the tightest of situations and distribute to players who could break lines and kick goals. West's contribution to the Bulldogs is perhaps best exemplified by the fact that he won a club-record seven Charlie Sutton Medals as best and fairest player. He was also named All-Australian five times. West displayed an incredible durability for the vast part of his career, rarely missing games until his final season, 2008, which saw a chronic knee injury reduce him to just a handful of games and ultimately forced his retirement. In 2013, West was inducted into the Australian Football Hall of Fame in acknowledgement of his on-field achievements. On a club level, he was inducted into the Western Bulldogs Hall of Fame in 2012, and selected as ruck-rover in the Bulldogs Team of the Century.